The winner of our free app poll this week is Classical Music Collection by Daniele Cristofori! The app brings the best collection in the world of musical masterpieces of all time into your pocket for FREE! With Classical Music Collection you'll have the best music with you wherever you go. 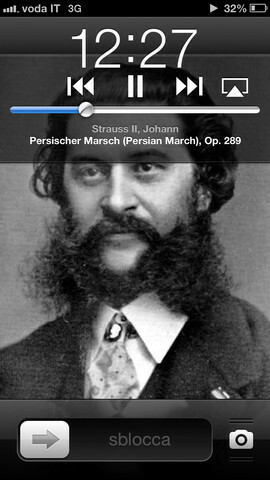 The app consists of - 150 best masterpieces of classical music – no other app of that ilk contains so many songs! Those who enjoy listening to relaxing music while going to work or to school, while walking in city traffic will find Classical Music Collection the best one to fulfill their musical needs. All pieces reproduced in this app have been carefully chosen by experts to provide the best songs gone down in history as masterpieces, including Beethoven, Bach, Mozart, Chopin, Tchaikovsky, Berlioz, Brahms, Debussy, Elgar, Grieg, Handel, Haydn, Mendelssohn, Prokofiev, Rimsky-Korsakov, Rossini, Schubert, Strauss I, Strauss II, Vivaldi and more! • More than 16 hours of listening! • Compatible with all iPod, iPhone and iPad.